Cinnamon buns and pancakes. That's all I've wanted to eat for the past two weeks. And big fatty chai lattes. Rather than deny myself of their buttery, fluffy, spicy lures, in a similar vein to this healthy(er) baked french toast, I decided to give them a makeover. 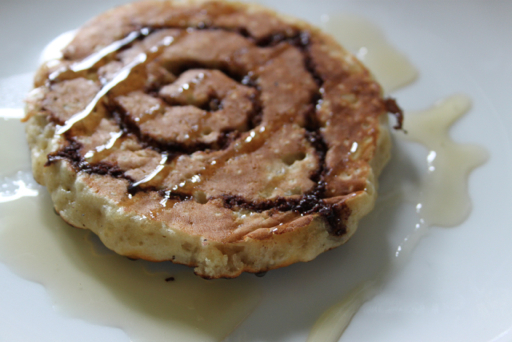 Pack a protein punch with the quinoa in the pancakes, cinnamon swirl them to sate my lust for the buns and a DIY chai latte. Luckily I had a helping hand from Blue Diamond Almonds and a carton of their Unsweetened Almond Milk - they've challenged 30 bloggers to come up with some original recipes using their almond milk and I happily accepted a carton to play with. Put the cinnamon paste into a small piping bag or corner of a freezer bag with the very tip snipped off. 1, Stir the quinoa in with the flour. 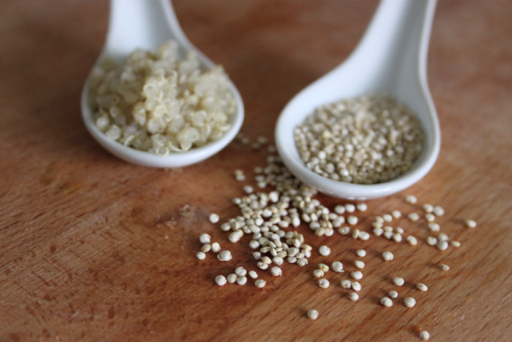 2, Beat the eggs together with the almond milk, honey and olive oil before folding into the flour and quinoa. 3, Preheat a nonstick frying pan and wipe a little oil around the pan with some kitchen roll. 4, Drop two dessert spoons of the pancake batter and spread a little with the back of the spoon. 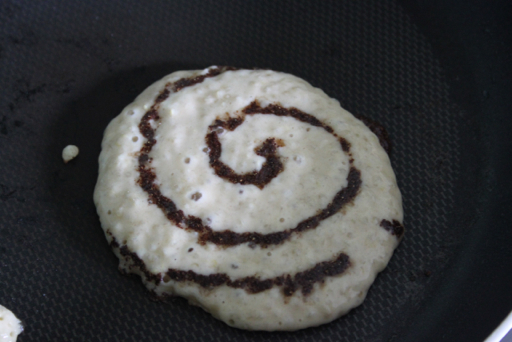 5, Pipe a swirl of the cinnamon paste onto the pancake. Cook the pancake until bubbles start to form in the top and gently flip so not as to damage the swirl. 6, Cook until just golden brown on the underside. 7, Keep the cooked pancakes warm. Serve with maple syrup. 1, Add all the ingredients, except the honey and ground cinnamon, into a small milk pan and bring to a gentle simmer. 2, Simmer for 2-3 minutes until fragrant and the tea takes on a caramel colour. 3, Strain out the spices and stir through honey to taste. Sprinkle with cinnamon before serving. these look & sound lovely....I love cinnamon buns! 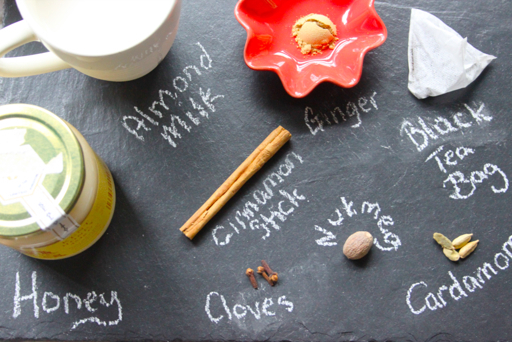 I never tried Chai latte but it sounds really nice. 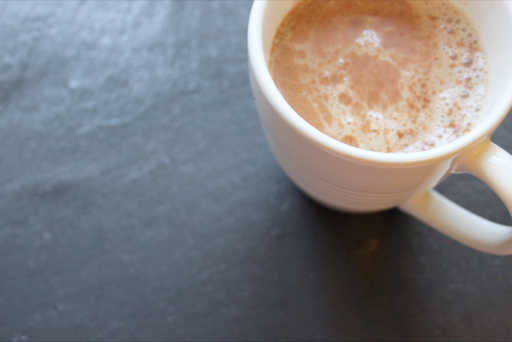 Thank you Helen :) I love chai lattes and making them with almond milk makes them a little less calorific! Thanks HELen! I used a cheeseboard for this post, I think I'll be looking at getting a bigger one at some point though! Thanks Fleur :) the cinnamon swirl is pretty and tasty so its a winner in my books! Thank you Linzi - I'm still hoping for a sunny and hot September so maybe I can turn it into an iced chai latte! This all looks so dreamy and right up my street! Thank you Hannah, it was a great breakfast! Oooh yum! This looks like my kind of breakfast! Thank you! I'd happily eat it again with one of your PB&J smoothies! Hannah, you are so creative. I've cooked with quinoa for more years than I care to remember, but would never have thought of doing something as delicious as this. And I'm sure they were even more delicious accompanied by a cup of chai. Thank you Choclette :) I've only ever used quinoa in salads so these were a breath of fresh air. 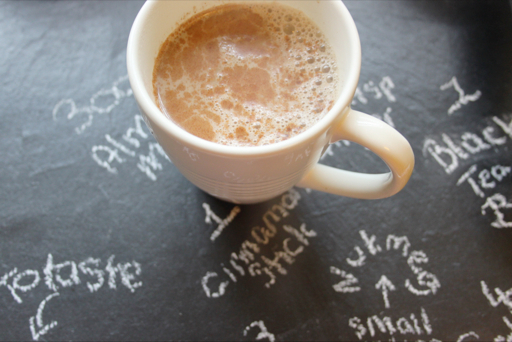 Chai was delicious, will be a firm favourite in the cooler/colder months!